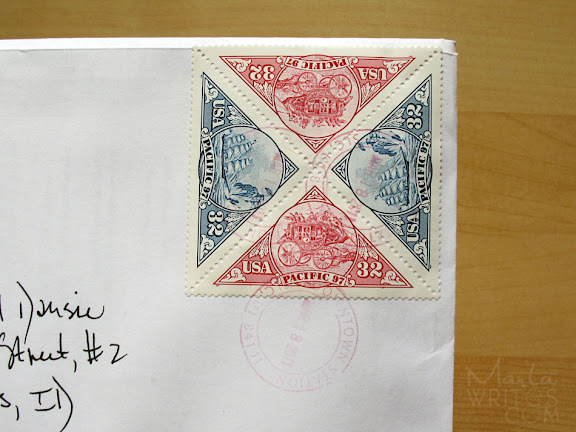 marta writes: dad's vintage postage stamps and other thoughts. dad's vintage postage stamps and other thoughts. thank you for the kind comments and the warm welcome back! i am glad to be home despite the fact that it's still snowing here. you heard me, it's still snowing here. we had a happy airport reunion with dan and are a trio once again. it's good to come home to someone you love. there is nothing better. the house was clean and there was a glorious pile of mail waiting for me. i was particularly excited about opening my dad's invitations and recent booklet. (my main gig is designing the books for his business as a historian. 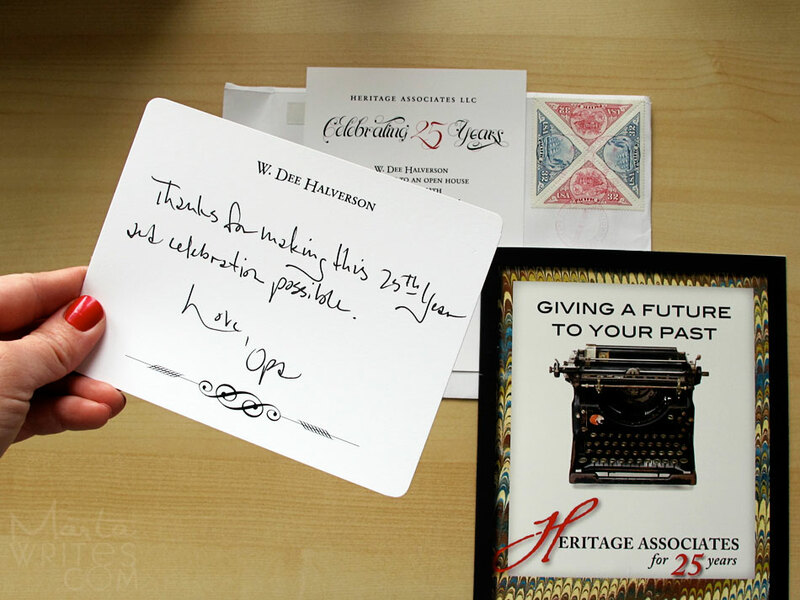 this year heritage associates turns twenty-five and he's hosting a bit of a celebration!) my dad has been a lover of vintage postage stamps even before it was the hip thing to do. i love the triangle postage stamps and the hand stamped postmark by the mailman. my dad instilled in me a love for details (and the post office)! his handwriting was my first favorite. am setting out to fix up this place, my life, my cupboards. after our jaunt to arizona i have a refreshed outlook on my life; the good, bad and the ugly. i have new ideas to explore and stacks of stuff to go through (which i hastily left when heading for spring break). stuff to design, lists to write. (i love this printable goal list by jana.) one plan is to tackle the house. we went out to pick up some cleaning supplies and microfiber cloths. (i love when you've been apart for so long that running errands together feels like the dating game all over again.) am doing some spring cleaning every saturday until it's warm enough to go out and play. i even laundered my down coat with tennis balls. it worked wonderfully. the tennis balls help keep the feathers proportionately puffed. am also excited about implementing a little more structure in my days at home with benji. why haven't i thought of this before?! at gabi's house they had a spring break calendar and the kids loved looking on it to see what was in store. this does not seem like a revolutionary idea, but it ignited a good idea for b and me. so i'm going to (officially) plan a little activity every day with him. yesterday we had singing time and made shoebox guitars with rubberbands. maybe it's just me, but making a calendar for something makes it more fun. when i was young, my mom was queen of naming our activities and outings so they seemed more like awesome field trips rather than just something to do on a dreary afternoon. am not sure if benji will notice, but i think it will keep me motivated about intentional mothering. am also looking forward to general conference this saturday and sunday. as i've grown up, i have come to realize what an amazing experience it is to listen to a prophet's voice and gain insights from the counsel given. at church last sunday the teacher taught us about carefully listening to the Spirit and then moving towards the Lord, never giving up on doing what's right. i am learning that it's not just about praying for things and hoping for answers, it is more about attempting to solve my own problems with the tools God has already given me and praying for His guidance along the way. our lives will never be free of challenges. dealing with trials is what this life is about. i am realizing that the problem we currently face does not have to be our identity. the way we deal with our dark days is supremely more important in the long run. with God anything is possible. tomorrow i have two great product reviews. stay tuned and stay awesome. It was so fun to meet you while you were here in AZ! You are so darling and just as sweet as your sis! 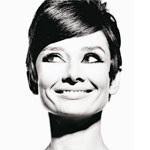 And ps I love your blog! Marta I'm glad you're back and motivated! I love it when going on holiday inspires the best in us. I am totally digging your calender idea, especially since Spring is here and life is blooming all around us (yes, even under snow!). Have a great week and thank you again for inviting me to be a part of your guest series, so much fun! I can see where your love of handwriting came from... his is lovely. Looking forward to hearing now things you and Benji do... he is a little older than mine, but I love the great ideas. I think right now Eva would eat a calendar, but it would be great motivation for me. I love your last paragraph. I too have been thinking a lot about using the tools God has given us to get through our trials. I love how you said, " the way we deal with our dark days is supremely more important in the long run". Amen. You are such a great example. Thank you, thank you! perfectly said, as always. thank you! love this - stay tuned and stay awesome. also loved your fill in the blanks while you were away! "i am learning that it's not just about praying for things and hoping for answers, it is more about attempting to solve my own problems with the tools God has already given me and praying for His guidance along the way." Love, love, love that. It is exactly what I have been thinking about and trying to put into words for a while now. That thought is truly beautiful in your words. Thanks for that. You don't know me but I love your blog and your Pinterest board. 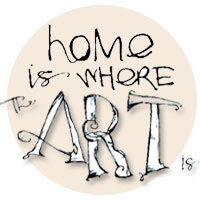 You're absolutely right about going home, letters and details. And can I just say your father's handwriting should be an official font - it's beautiful! Well, if you ever do turn it into a ttf, please make it available on your blog. Sheesh, I love your mom :). I have just recently kept a calendar of "events", otherwise the week goes and I feel like we didn't do anything fun. That way I can't forget :). Love love the idea of making a guitar, my little guy would love that! Thanks for the sweet words, Min! Doesn't General Conference always come is just the nick of time? I'm especially in need of a little lift this weekend. Can't wait to listen to the prophet's voice. Your vacation looks like great fun. You look chic, as always. Benji is getting so big! How amazing is your Dad's company?! Wow...dream job for me. "Carefully listening to the Spirit and then moving towards the Lord, never giving up on doing what's right." "...learning that it's not just about praying for things and hoping for answers, it is more about attempting to solve my own problems with the tools God has already given me and praying for His guidance along the way." Beautiful words that resonate with me and where I am now.